Last night, Birchbox, Bonobos, and Rent the Runway kicked-off Online’s Day Off shopping event with a VIP summit and cocktail event. The event brought together top executives in the retail, fashion, beauty and start-up communities. After the presentation, guests enjoyed libations courtesy of Absolut Elyx and Stella Artois from the cocktail party atop The Glasshouses. Click through to see more photos from the event! The Online's Day shopping event on Saturday September 20th will allow shoppers to experience three emerging, online-only brands, GLAMSQUAD, Mantry and Ringly, in-person for the first time. Special offers, gifts, and experiences will be available in the stores, including hair and make-up retouching at Birchbox, food and beverage tastings at Bonobos, and manicures, cupcakes and champagne with Rent the Runway. 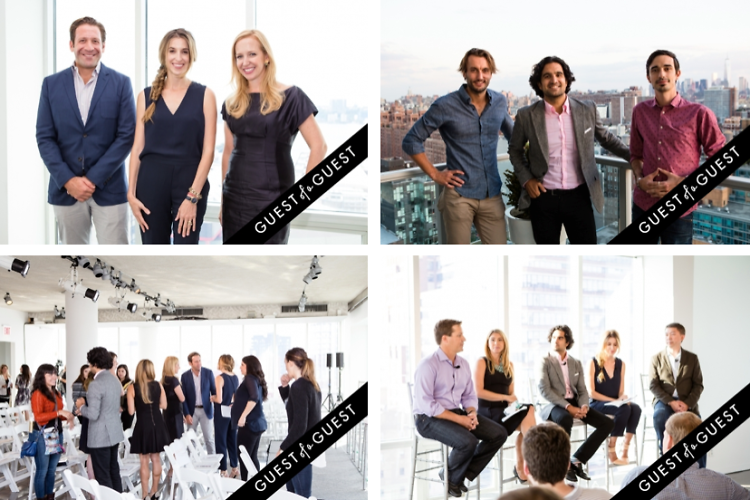 Who was there: Guests included Katia Beauchamp, Andy Dunn, Jenny Fleiss, Tyler Vaughey and Steve Chien, Lily Kanter, Alexandra Wilkis Wilson, and Lane Gerson. Click HERE for more photos by Patrick Macleod!